In the same year on the 30th April 2007 SEBI decided to make grading of all IPOs mandatory. Grading makes additional information available for the investors, in the sense that it is supposedly an objective opinion of a credit rating agency arrived at after analyzing business and financial prospects, management quality and corporate governance practices etc of the issuer. Grades represent relative assessment of the fundamentals of the issue compared to other listed equity securities. Now that the IPO grading is about to complete 7 years, we seek to assess its impact on the primary market of equity shares. DLF scored the rating/grading of 3.5 in 2007. I did not find any study done on the grading considering the data availability now it can be done with ease. Intuitively, we feel that grading should have direct effect on subscription statistics. Issues with grading of 3 or below should attract less subscription and issues of grading 4 or 5 should attract more subscription. It means that by and large the variability in subscriptions of different issues (i.e. if an issue gets p times subscribed, the variability in p) should rise after introduction of grading. If investors are risk avers, and if they trust grading, more monies should go to better graded issues.Introduction of grading will also have some indirect fall out. While we do not expect to see it immediately, we feel eventually grading will have impact on the quality of issues. Grading should reduce the number of issues.It will force the smaller issuers with inadequate processes – that get reflected in their fundamentals – to reconsider entering the markets. Will it affect entrepreneurship? It is a vital question and begs for rigorous research. Another related issue is how poorly graded issues have fared after listing. (And how have those fared that were graded 5 or 4.) Unfortunately here the observation time is too short – just about a year of data. A final issue is who, if any, are heeding the grading. We have three investor types – QIB’s, Retail and HNI. 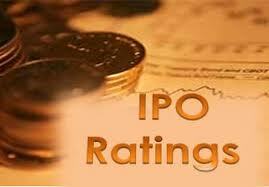 It is assumed that QIBs are qualified to make their own assessment of IPOs. Are their assessments, as should be evident from their willingness to subscribe, in line with grades i.e. the assessments of CRAs? We have no view on the matter but we feel this enquiry can throw some interesting findings. Estimation time for the whole could be 16 weeks .